The iPhone 6 or 5S could keep the bezel in favor of using it for some new technology, and this would put the black border to some use rather than opting to remove it entirely with an edge-to-edge display. This change could add a fingerprint scanner to the iPhone 5S this year and would match up with many of the rumors we’ve seen, although if the feature misses an upgrade in 2013 then you can expect the fingerprint scanner to arrive with an iPhone 6 at some point in 2014. Yesterday, we looked at a new iPhone 6 concept design that suggested a bigger 5.7-inch screen size and would fit perfectly with those phablet lovers that want an iOS 7/8 phablet. This is certainly not what the majority want and even if Apple did build a phablet, you should expect a smaller phone-like size as well. iPhone 6 or 5S fingerprint technology solid — we first heard about a fingerprint reader being included with a future iPhone from rumors, which landed via sources from Apple’s supply line. Since these rumors arrived we have seen increasing proof from other leaks, and most importantly solid proof within Apple patents. The images below were found in an article from Patently Apple, and they reveal some detailed information on how a fingerprint scanner can be embedded within the iPhone 6 or 5S bezel. You can see a 3D view of the scanner and how the finger is sensed by pixels of a 2D array. 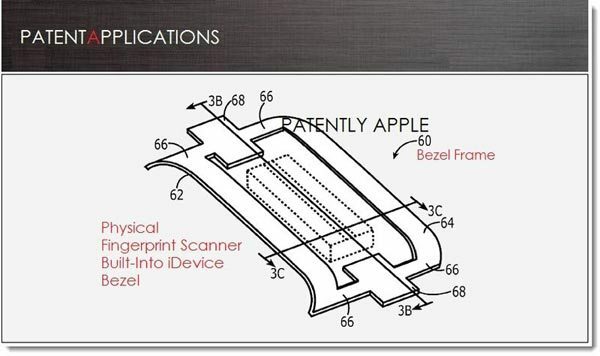 The image below also reveals a top view of the fingerprint scanner and how it might be embedded within the bezel frame, although for more insight you should visit the link above on the popular Apple patent blog. You should note that this technology could feature in future MacBook Pro’s and Air’s as well. 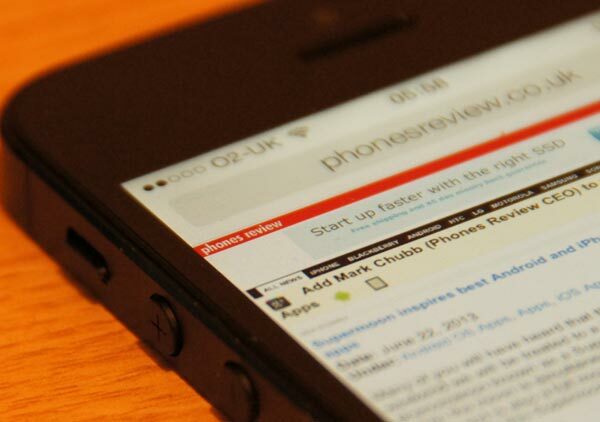 The two images below show a close up with the iPhone 5 bezel on the sides and at the top and bottom. You can see that the bezel is pretty thin on the sides, so it would be interesting to see how and where an iPhone 6 / 5S could include a fingerprint scanner within the bezel. We saw more signs of an approaching iPhone 5S release date yesterday, which came thanks to Walmart and AT&T price cuts for current models. This isn’t the first price drop we’ve seen and would be expected considering the iPhone 5S, or iPhone 6 if a major upgrade, is predicted to release in less than 3 months. 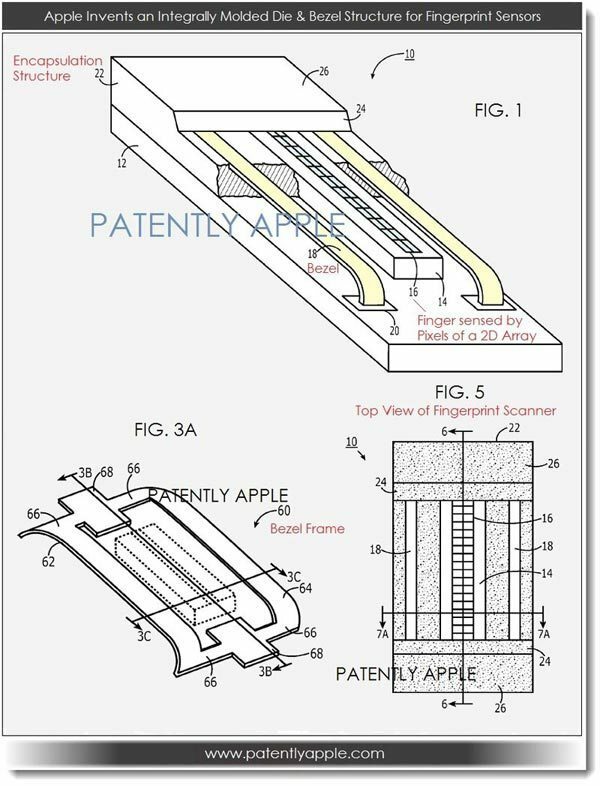 Would you like to see a fingerprint scanner within the iPhone 6 or 5S bezel? 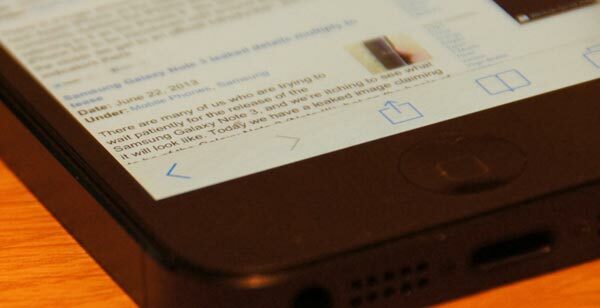 How would you like iOS 7 to integrate with this kind of technology, or would you prefer to see the bezel gone and an edge-to-edge display instead?